Need to know how to format your resume for that job application? How do you write a cover letter that will stand out? Wondering how to request a letter of recommendation for graduate school? Trying to craft a get-well note that will really help? How informal is too informal when instant messaging in the office? What do you write on the website for your small business? What should you say in a wedding invitation? Or a divorce announcement? 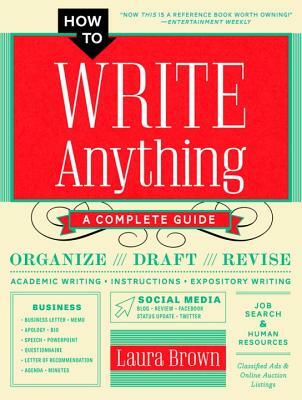 With over 200 how-to entries and easy-to-use models organized into three comprehensive sections on work, school, and personal life, How to Write Anything covers a wide range of topics that make it an essential guide for the whole family.